The "Protecting Americans from Tax Hikes Act of 2015" (PATH Act) was passed by both the House and Senate and signed into law on 12/18/2015. This bill expanded the Section 179 deduction limit to $500,000 until further notice. The PATH ACT passed in December of 2015 was also made retroactive for the 2015 tax year, making the Section 179 deduction for 2015 $500,000. In addition, the 50% Bonus Depreciation was reinstated. How Much Can I Save on My Taxes in 2016? It depends on the amount of qualifying equipment and software that you purchase and put into use. See the handy calculator below. What Sort of Equipment Qualifies in 2016? When Do I Have to purchase the equipment? 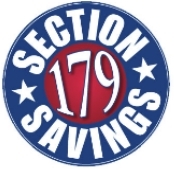 Many businesses are finding Section 179 Qualified Financing to be an attractive option in 2016. Section 179 was designed with businesses in mind. Therefore almost all types of "business equipment" qualfies for the deduction. Used Equipment (that is new to you) qualifies for Section 179, however used equipment does not qualify for Bonus Depreciation.